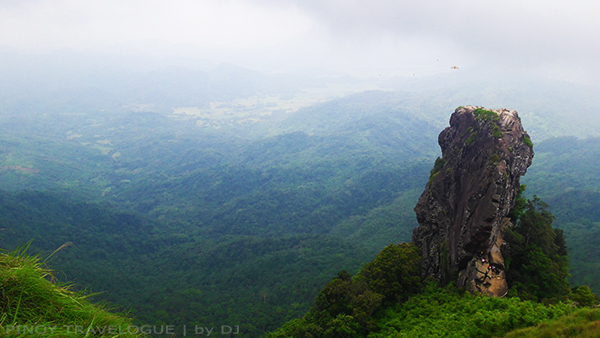 Pico de Loro, widely known for the towering monolith perched at its summit, is perhaps one of the prominent peaks in the country for recreational climbing. For its proximity, it has been a popular destination of hiking enthusiasts from Metro Manila. Its newbie-friendly trails and scenic vista at the crest entice occasional and seasoned mountaineers alike to experience or even re-experience her charm. Lesser known as Mt. Palay-palay, Pico de Loro forms part of the Palay-palay Mountain Range along with other notable peaks including Mt. Marami, and the historical trails of Mt. Buntis and Mt. Nagpatong where revolutionary leader Andres Bonifacio supposedly met his demise. The recreational-slash-historical mountain range is also within a protected area — the Mounts Palay-palay/Mataas na Gulod Protected Landscape, an almost 4000-hectare land covering parts of Cavite and Batangas provinces; it was under the supervision of the country's environment and natural resources department (DENR). Pico de Loro's main jump-off point is the DENR station in Ternate, Cavite. Day hike registration fee: PHP 25 per person; overnight camping is not allowed. 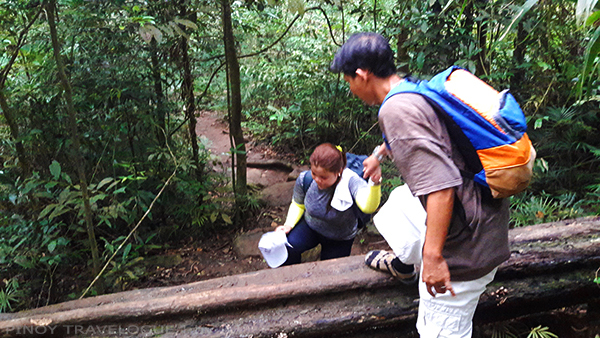 Trail guides from DENR site assist hikers in trekking up the peak and back down to Ternate jump-off. 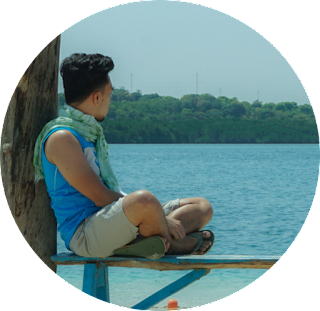 Opting to take the traverse trail to Nasugbu, Batangas requires another guide that costs PHP 500 per group. Depending on the hiker's pace and pit stops, reaching the summit takes around 2-3 hours. Climbing up the monolith is prohibited as of writing. A store at the Ternate jump-off offers meals, refreshments and some basic hiking gears such as arm sleeves; several stores were also stationed at the summit campsite; at the end of the Nasugbu trail, a small shack sells snacks and bottled drinks. Opt to take the traverse trail. The trail originating from DENR Ternate is the only path currently in use to reach the summit. Other jump-off points such as that in Nasugbu were closed down for some reasons. Trail guides at the campsite offering assistance down to Nasugbu used to guide hikers taking the closed trail thus, their earnings were somehow affected. 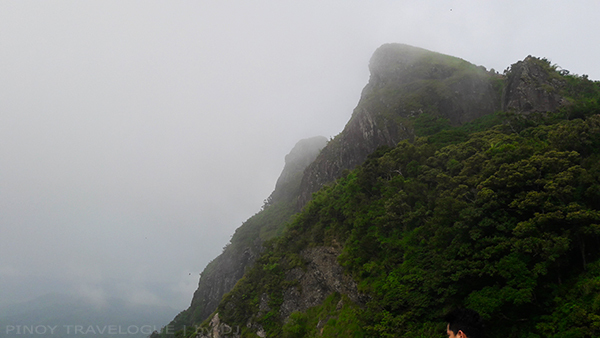 They hike up the campsite early in the morning with hopes of getting hikers that would traverse Pico de Loro. 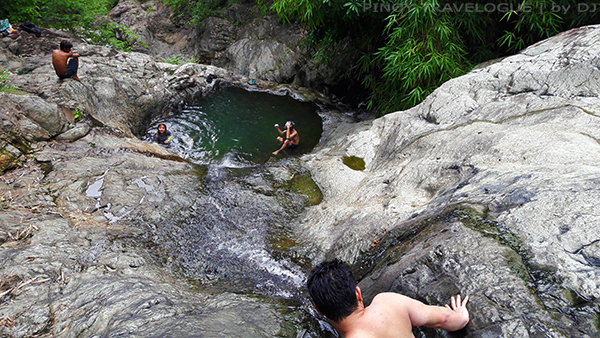 Kawa Falls is an ideal spot for picnic. During our side trip, litters were an eye sore — beer bottles, snack wrappers, and some remains of burnt woods. 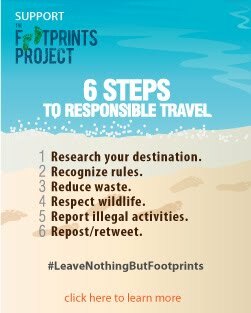 There were no trash bins in the area and clean-ups, according to our guide, were done periodically but let's not make those things an excuse to do our part. @myjanuarypink, thanks sa info na isasara na pala sya on October. May nagsurface na balita before na isasara daw siya by August, so umakyat kami nung July para maakyat din yung monolith bago pa man magsara. Na-frustrate kami that time since ilang buwan na palang prohibited yung pag-akyat sa monolith. I guess we will share the same frustration na lang, for safety din naman ng hikers yun. Papayagan din naman siguro ulit ang pag-akyat dun in time, take it as a reason to come back na lang :) don't worry, worth it pa rin naman pag narating mo na ang summit.